The North Monterey County High School Boys' Cross Country team has a long tradition of excellence. This is due in part to the extraordinarily rare occurrence in high schools of having only four head coaches since the school opened in 1978. Keith Condon coached from 1978 to 1988. In that time his teams amassed an impressive record and gained much recognition in the Central Coast Section. Among the teams many fine accomplishments, they ran up a record of 39-0 in league meets from 1980-1986. In 1989 Bruce White took on the enormous task of continuing the great tradition that Coach Condon began. In 2001, Gustavo Ibarra joined Bruce and they coached together until Bruce's retirement in 2004 when the team had its finest single season winning a 14th league title, winning back to back CCS (CA section) championships, and placing 2nd at the state championships! Coach Ibarra began 2005 alone and was joined by Charles Pierce in 2010 and together hope to continue the great tradition! On this site is evidence of the commitment the coaches have made to creating a program dedicated to excellence. Click on year for results! The North Monterey County High School track team has a long tradition of excellence. This is due in part to the extraordinarily rare occurrence in high schools of having only ten head coaches since the school opened in 1978. Keith Condon, John Simpson, Roger O'Sullivan, Shawn Parker, Kim O'Malley, Temo Trujillo, and Julio Trinidad have all led the team and now Gustavo Ibarra and Ricardo Mendoza help continue the tradition. The teams have racked up an amazing 76 league titles including 26 by the Varsity Boys, 25 by the Frosh/Soph Boys, 14 by the Varsity Girls and 11 by the Frosh/Soph Girls in 37 years! Check below and see the great success that the teams have had throughout the years!! Click on the underlined years for full results! New! 2018 XC Schedule including the 1st ever Jackie Henderson Invite at NMC! Check out or most recent pictures HERE! Thanks to Coach Machado!!! Congrats to Jocelyn Cazarez who has moved to #2 all time at NMC in the discus (125' 1") and to Sarah Delgado who is now #3 all time in the 800 (2:19.6)! Check out the updated school record board here! EARLYBIRD IS SATURDAY, SEPTEMBER 15TH AT TORO PARK IN SALINAS! PLEASE VISIT OUR NEW EARLYBIRD MEET WEBSITE! 1st Annual O-Condon Invite April 6th at NMC was a huge success! Check this link below for Track and Field results throughout the year! Click on the green link next to the event name to access them!! Visit our xc stats page for all things Cross Country! 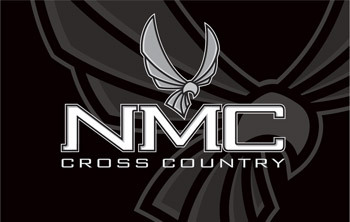 Follow us @nmctrackxc Click on logo! Follow us @NMCTrackXC Click logo! Join us at North Monterey County Track and Cross Country Click logo! 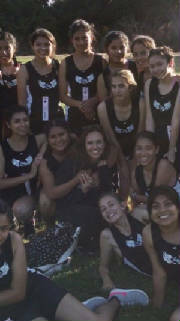 Leave us a comment here about Condor Cross Country & Track!